Hello to all my new friends who might have seen me on Rachael Ray! And hello to all my existing Freebs. I've had lots of questions lately about good old fashioned BUDGETING (yes, the “B” word…). So today I thought I'd bust out my best, most delicious secret sauce to help you get your budget (and finances!) under control. During our financial disaster ($15K in credit card debt, $10,500 car loan we couldn't afford, new business, no income, new baby, and $0 in the bank…) I had trouble getting advice from someone I could relate to. My friends didn't help much, apparently people don’t like to talk about money. #Weird. I found experts in books and online to tell me how to pay my house off, or pay cash for a car, or what accounts to invest in for retirement…but what about someone to tell me how much to pay for groceries? Or how to talk to my husband about money without killing each other? Or, heaven forbid, afford to take my kids to Disneyland someday without completely shattering our finances in the process? I was forced to figure it out for myself. And it worked. We paid off all the debt in 13 months (on a $31K income! ), and now have several years' living in the bank, and have achieved all of our financial goals…WHILE living a full, fun life. It wasn't easy, but over the years I have developed basic financial principles and simple budgeting methods that are so effective, they have helped not only us, but hundreds and thousands of people just like y-o-u. My best form of financial help and hand-holding is in my budgeting program. But for quick tips and a good jumpstart, this blog is filled with hundreds of tips and budgeting advice. 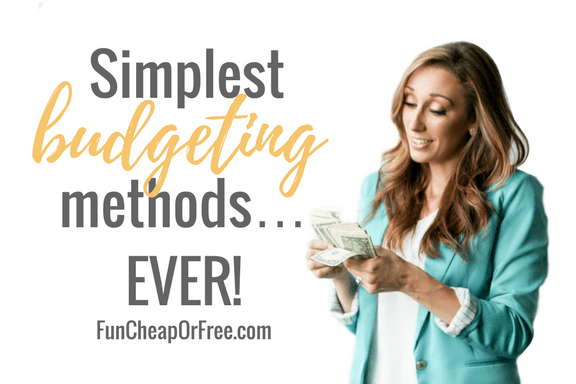 Today I have gathered the BEST principles and financial methods that will surely kickstart your budget and help whip your wallet into shape! This is one of the most viral posts I've ever had...and for good reason. It sounds CRAZY, right?? Most of us have two accounts – one saving, one checking. 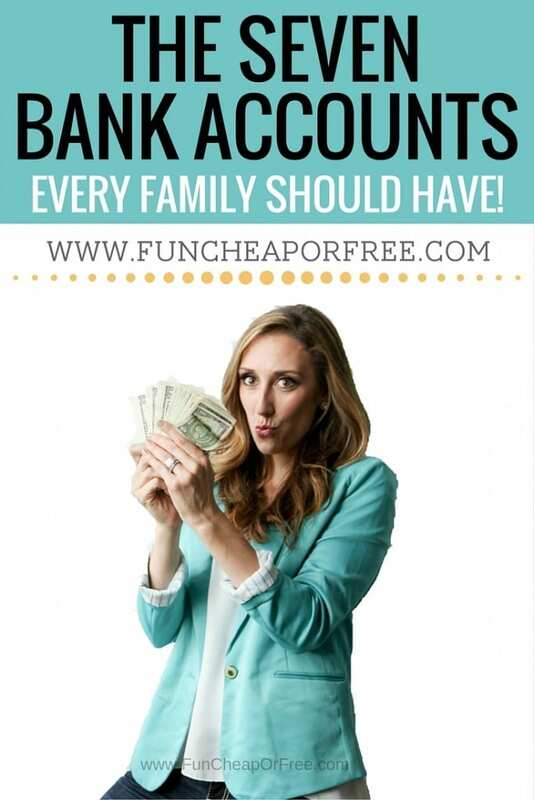 Have you ever considered opening MORE accounts to help you organize your money better? If not, then you should! For my husband and I this is one of the single easiest things we did to get us out of our scary financial situation…and fast. And no, you don't have to have lots of money to do it. In fact, we were living paycheck-to-paycheck at the time that this started working the best for us. In this post I will break down my ridiculously simple, easy, and practical personal budget system that single-handedly got us out of major debt (including $10K on just ONE credit card!) and helped us get ahead financially. The best part? It's worked for thousands of people too! The technique works whether you use cash, debit cards, or credit cards to do your spending. Warning – the video is super old and horrible quality! So sorry! But the principle is still the same, and has helped literally hundreds of thousands of people. So ignore the grainy-ness and horrible lighting and thank me later anyway! See the simplest budgeting technique HERE. Raise your hand if you've NEVER fought over money! Yeah, we all do. Why? Because we have different ways of doing things! To keep your family finances running efficiently and smoothly, and to help you stay on-budget (and fight less!) 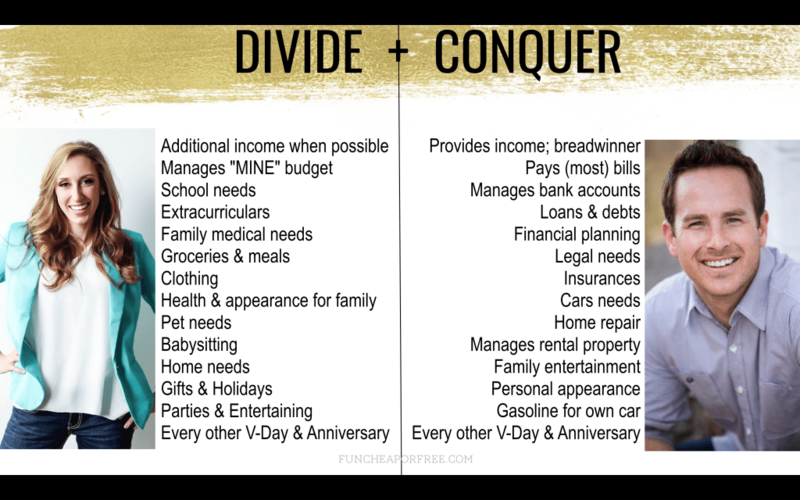 in this post I suggest dividing up spending responsibilities so you aren't stepping on each others' toes! Yes, you are all working for the same team and the same common goal, but by dividing up, you're making sure everything is covered, and it gives everyone the chance to track and manage things their own way. See how to divide responsibilities HERE. 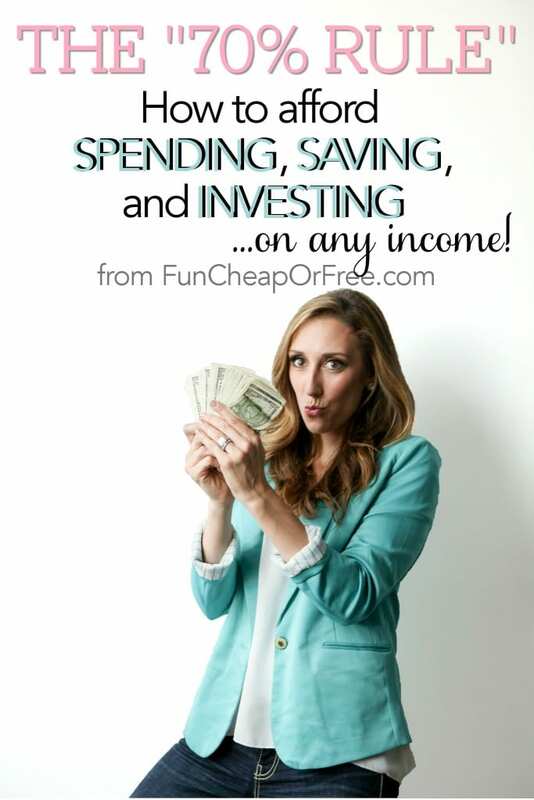 4 – The 70% Rule: How to Afford Spending, Saving, and Investing on ANY Income! This financial principle not only works, but it will work FOREVER. With a little adjusting, this will help you throughout your life to know exactly how much to spend, save, and invest…no matter you income, debt, where you live, or stage of life. When Bubba and I finally saved up and had a stable enough income to move into our home, we were on cloud nine…until Bubba had to take a 40% pay cut a few months after closing. Wah waaaahp. The good news is that this principle helped us stay on track. No derailing, no panicking, no living off of credit cards. We knew exactly what to do, and was able to adjust quickly. This principle also helps us to be able to set aside money for savings, bills, and retirement, WHILE being able to spend money on the things we want to spend money on! See the 70% Rule HERE. This post is a HUGELY important one. A gross misconception about “frugal people” is that we don't spend money; that we pinch every penny, never buy anything expensive, only shop at Good Will, and live a miserly, boring, and overall “cheap” life. While some of that is true (there is nothing wrong with shopping at thrift stores! ), the overall misconception is…well…a misconception! (Remember my differentiation between “cheap” and “frugal” HERE?) I am living, breathing proof that you CAN be frugal, live reasonably, practice self-control and delayed gratification, follow a tight budget, be thrifty in every sense of the word…and still have, do, and own just about anything you want. See the 3 month rule post HERE. A spending freeze is exactly what it sounds like…you freeze your money, and withhold from spending any money for a specific period of time. Then, the money that you would have typically spent during the freeze, you put toward debt, or a specific savings or financial goal. I’ve heard of people doing spending freezes for an entire month or more. And for anyone who has successfully accomplished this, hats off to you. I personally recommend doing spending freezes for just 1 week at a time to start. 7 consecutive days, that’s all! It’s a short enough amount of time that you can do it with little to no preparation, but it’s long enough that you will save a substantial amount of money in that time. 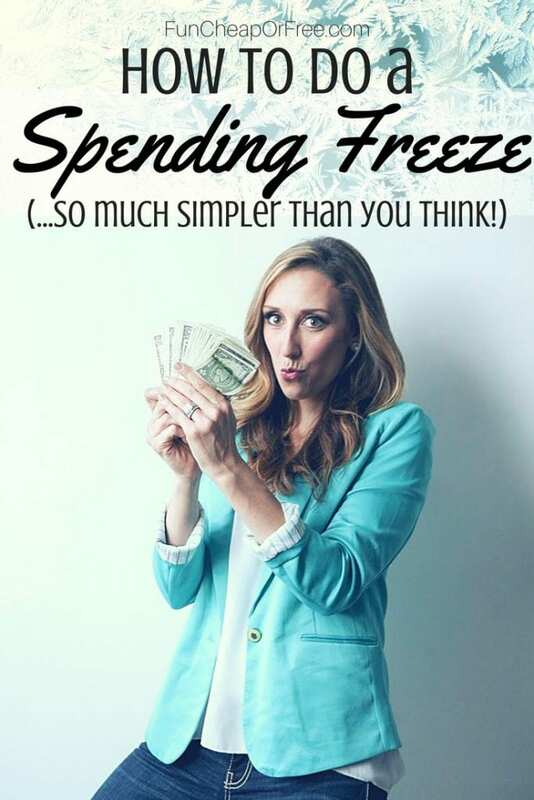 See how to do a spending freeze HERE. Boy, getting your spouse to stop spending money can be an insanely complicated task. In our family I tend to be the spender and Bubba tends to be the saver. But not always! So I know first-hand how frustrating (and hurtful) it can be to not be on the same page as your spouse. This post will help give you tips for helping to motivate your dear spouse from spending so much, and/or to simply get on the same page as you financially so you can start achieving bigger goals…together! 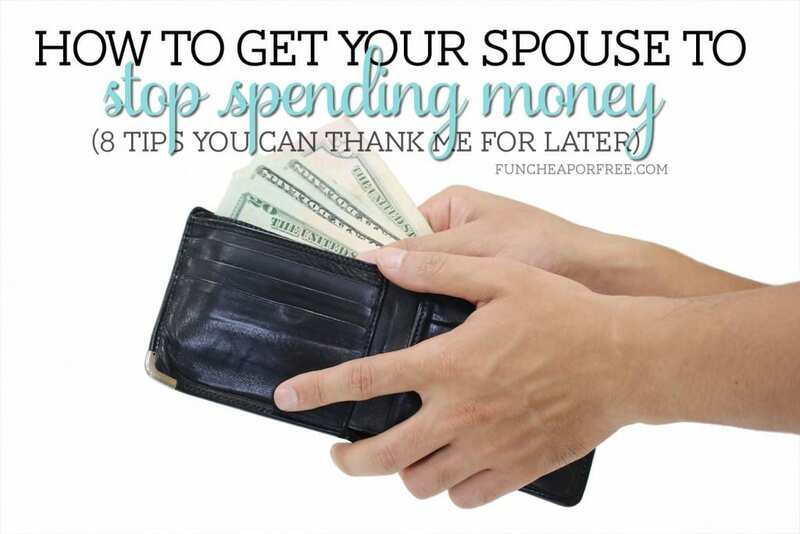 See how to get your spouse to stop spending money HERE. See even more awesome budgeting tips HERE. So there you go! Hope those help start to get your finances in order. Don't forget about my Secret Sauce online budgeting program, Budget Boot Camp! BBC is a super fun 27-video program that makes money easy to understand. All you need is a screen and you're set! How to shop online! Best tricks and tips + how to earn money shopping! I loved watching you on Rachel Ray and your BTS vlog on your trip! This post is awesome though and super helpful. Thanks for the tips for budgeting. My wife and I are trying to budget more effectively, so we are looking for any tips we can get. I like that you mentioned that you should simplify your debt and budget as much as you can. That way, saving money will be less work. We will make sure to do that. 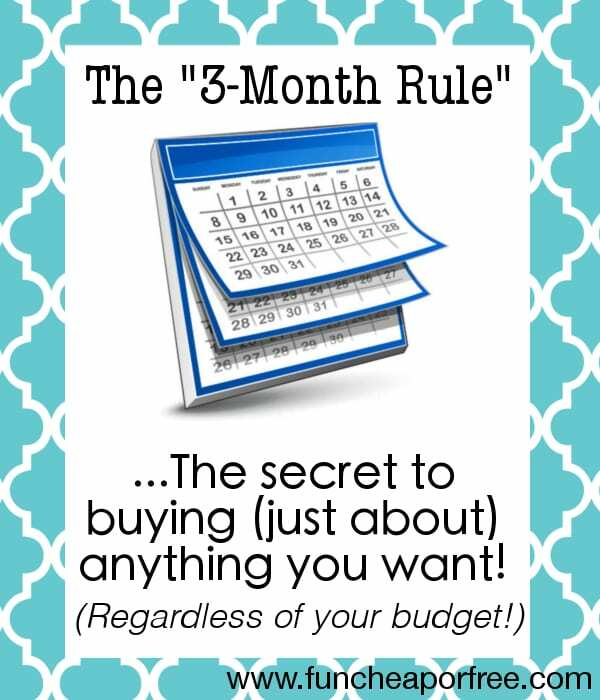 I love the tips you share and I think that I should try a “spending freeze” for a few things that we need! Thanks for the idea. These are so simple and so easy! I really do agree that simplicity is important. When I make things too complicated they just don’t happen!